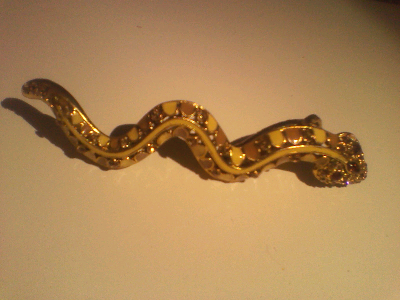 I was at my aunt's house the other day and I spotted this stunning snake clip which she bought in Las Vegas. I don't know if I would ever wear it but the attention to detail is incredible. 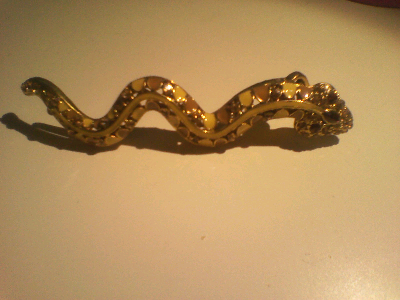 Loving the hair clip! Its adorable. 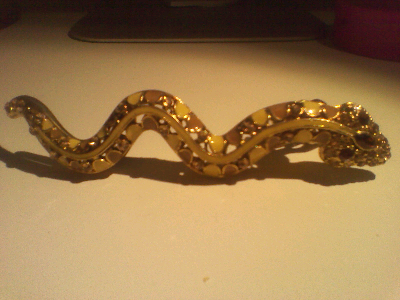 It would look awesome as a brooch too. Oh wow, it's pretty cool! I love it! You should definitely wear it. I never thought about using it as a brooch, but that's such a great idea!